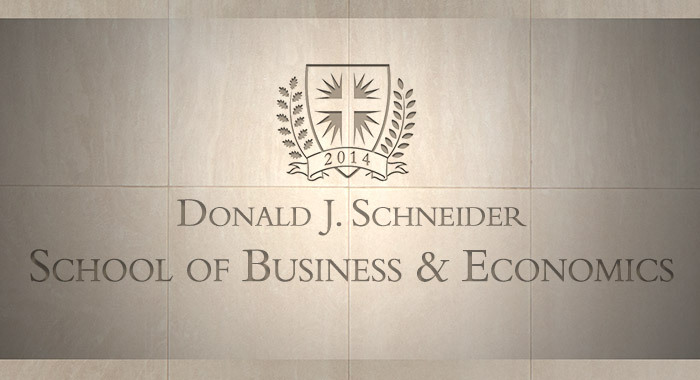 Benefiting from the largest gift ever designated for academic programming at St. Norbert, the college is to found the Donald J. Schneider School of Business & Economics. The school will house a new MBA program starting in 2015, as well as undergraduate disciplines. A portion of the Schneider gift will allow the college to launch its anticipated MBA program, now expected to admit its first students in the fall of 2015. But the great majority of the gift will be used to endow the business school and its operation. “There truly could be no more fitting name for this new business school than that of one of the college’s most influential and successful graduates. 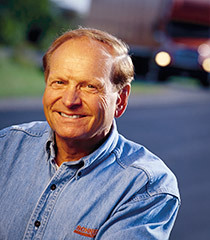 The Schneider name stands for a commitment to excellence, an enduring sense of civic responsibility, entrepreneurialism and business innovation. In naming the school for Don Schneider, we will reflect these same values, as they are part and parcel of our Norbertine heritage. Business classes have been offered at St. Norbert almost from its beginnings in 1898. Early in their time in De Pere, the Norbertine fathers – ready to meet the needs of the area surrounding their new foundation – saw the need for commercial education in the region. The new school will comprise the college’s existing business administration and economics disciplines. Additional faculty and staff will be hired as part of the expansion and launch of the MBA program. They will include a dean who, in company with an advisory board, will oversee the operation.